Midland Sprinklers And Maintenance, LLC Midland, MI is focused on providing High-Quality Services at a fair price. Our Customer Satisfaction has, and always will be Number One priority for us. We are very well known in the community for treating your yard as if it were our own. 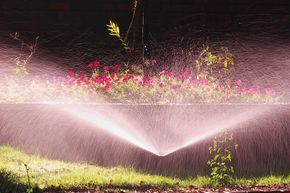 As you will notice below, we offer services for Sprinkler Systems, Maintenance, Snow Removal, and Lawn Care Services. * Spring Start Up for Residential and Commercial lawn sprinkler systems. * Mid-Summer Check for Residential and Commercial lawn sprinkler systems. * Installing New Systems for Residential and Commercial properties. * Repairs of Existing Systems for Residential and Commercial properties. * Fall Winterizing for Residential and Commercial lawn sprinkler systems. * Removing Snow Of Entire Drive using Snow Blowers and Shovels only. * Removing Snow Of End of Drive using Snow Blowers and Shovels only. * Lawn Mowing & Bagging for Residential and Commercial properties. * Edging For Cement for Residential and Commercial properties. * Spring Clean Up for Residential and Commercial properties. * Fall Clean Up for Residential and Commercial properties. Here at Midland Sprinklers And Maintenance, LLC Midland, MI we stand behind and Guarantee all of our work. We honor all of our Warranties. They range from One Year to Five Years. The length of the warranties depend on what kind of parts they are, ( if applicable ). There is no job too big or too small for us. We are experienced with Lake and River sprinkler systems. We specialize in Experience, Professionalism, and Follow Through at every job. We offer Free Estimates for new sprinkler systems and extensive repair work. If you may have any questions or concerns please feel free to contact us via Phone, E-mail, or through our Website. We are Licensed and Insured. We also carry coverage on all of our employee's to ensure zero liability to our customers. Always being sure there is 100% Coverage for flower beds is a priority for us and our customers. Always using Commercial Grade products to ensure highest of quality and longevity. This is always beneficial to help save on our customer's pocket book. We make sure there is "Sprinkler Head" to "Sprinkler Head" coverage so dry spots will not develop throughout the summer season.